The Combino “Fruit” is the highlight during the fruit season. The fruits are sprayed quickly and accurately, so that they can be flooded afterwards with cake glaze. This creates the perfect base for a clear and bubble-free cast. You alone decide, what amount you flood. 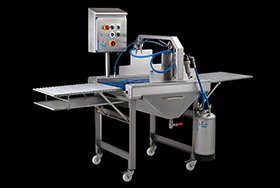 In the Combino “Fruit” an infinitely adjustable beld speed and an adjustable enrobing unit are available. 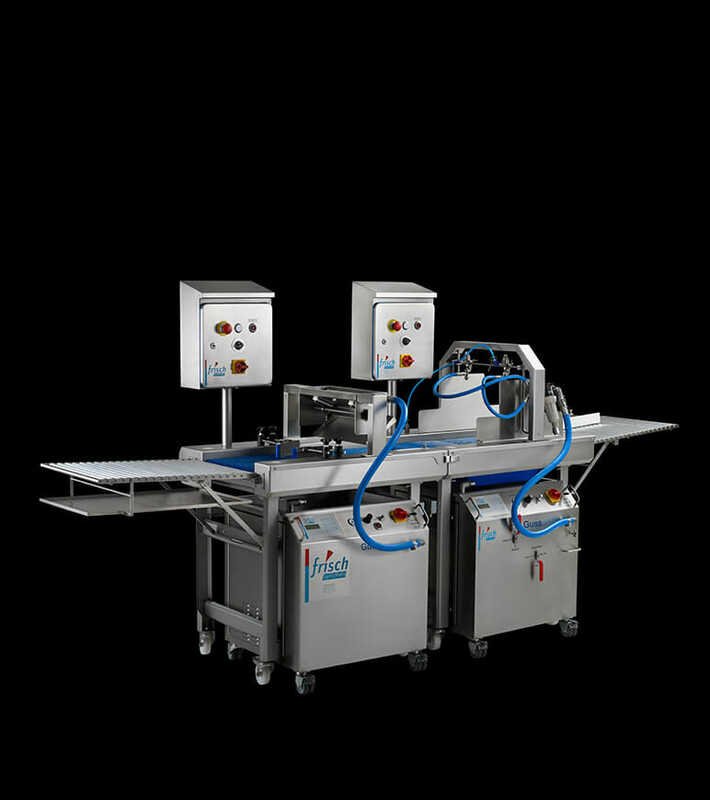 With the Combino “Fruit” you produce fast and clean fruit slices and thus ensure real eye-catcher on the showcases. 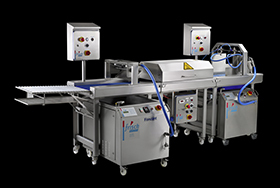 The modular structure of the Combino “Fruit” also allows manifold extensions. 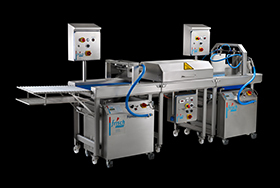 A Combino “Berliner” or a glazing line are possible with few changes. Are you looking for an individual, tailor-made system? Again, we are your partner – together we will find a solution. 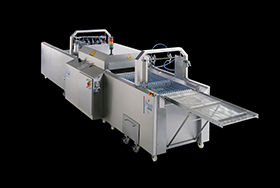 The compact and modular design of the fruit line provides expansion options and investment security. Take advantage of our experience in the field of finishing and inspire your customers with a firework of bright colors in the showcases. 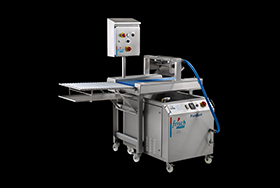 The right equipment for every bakery. More products can be found in this selection. We are happy to advise you on the selection. Just give us a call. Founded out of a bakery. 30 years of experience in machine development. Holder of numerous innovation awards. Spare parts service usually within 24 hours. Used, but in top condition! 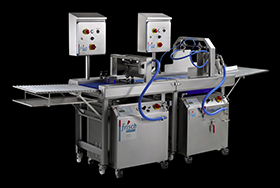 The use of perfect finishing technology is usually associated with increasing sales. 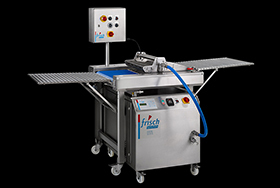 Invest in new FRISCH technology and return your” too small ” machine. We are happy to quotate you a fair offer.